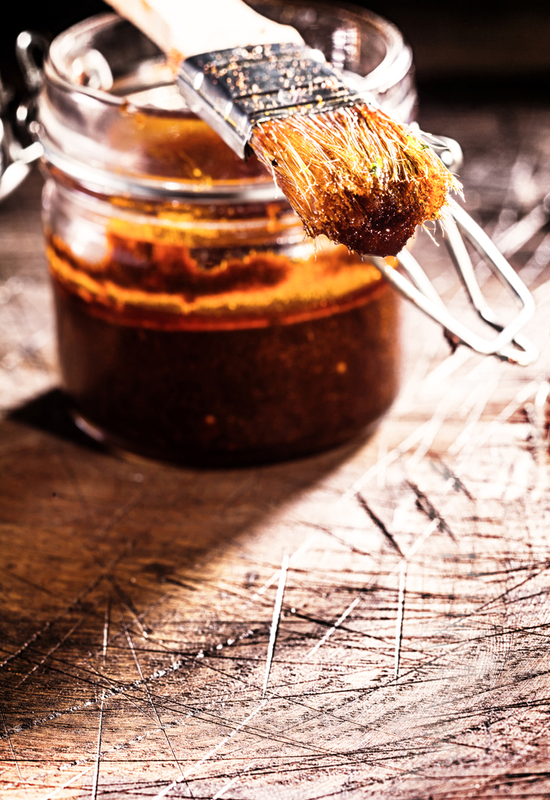 Why buy store-bought when you can impress your guests with this homemade sauce packed full of flavor? 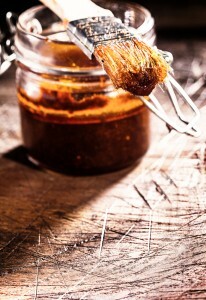 Make up a batch of this ahead of time to let the flavors meld together. It’ll keep in a jar in the fridge for about a month. Combine all ingredients in a small saucepan. Bring to a boil, then reduce heat to low and simmer for 20 minutes. Makes about 3 cups. This entry was posted in Uncategorized on May 28, 2016 by Admin. 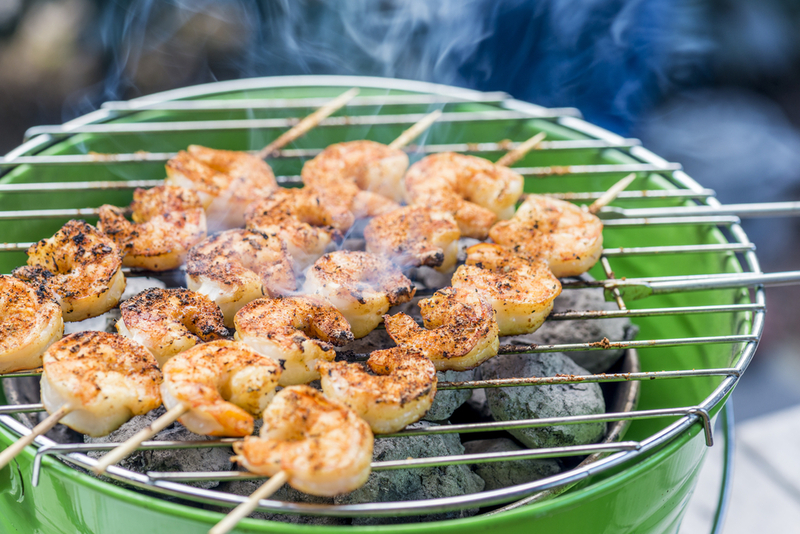 It couldn’t be easier to infuse your grilled shrimp with tons of flavor with this easy marinade. Your backyard entertaining just got kicked up a notch! Mix all ingredients in a small bowl. Place shrimp in the plastic bag and pour marinade over. Refrigerate for 2 hours or so. Bring the grill to medium heat. 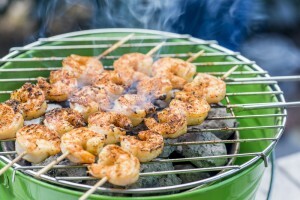 Thread shrimp on wooden skewers and grill 5 to 7 minutes, turning and basting frequently with the rest of the marinade. Serve with Cajun butter for dipping. Tired of serving the traditional macaroni salad at your backyard bar-be-que, this classic from Pasta and Co. is a brilliant deviation. Make ahead and keep in the fridge the day before if you’re short on time. 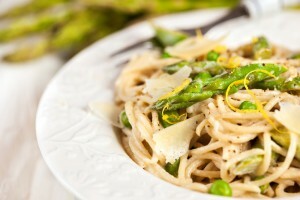 In a large bowl, mix together olive oil, lemon juice, garlic, red pepper flakes and ground pepper, and whipping cream. Set aside. Cook pasta al dente in salted boiling water. Drain and rinse with cold water. Toss the pasta in the dressing and allow to cool at room temperature. Gently fold in the remaining ingredients and serve with additional green onions for garnish. Always a crowd pleaser, pulled pork can be prepared the day before and warmed on the stove top or in a crock pot before serving. Use hoagie rolls for full sandwiches, King’s Hawaiian dinner rolls for excellent sliders, or, as the Pioneer Woman suggests in this recipe, serve with tortillas and lime wedges. In a food processor, combine the onion, chili powder, brown sugar, garlic, oregano, cumin, salt, pepper, olive oil, and vinegar. Pulse until totally combined. Pour the mixture over the pork and rub it in well, covering every accessible part. 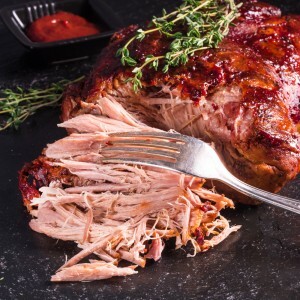 Place the pork into a roasting pan or Dutch oven and add 2 cups water. Cover tightly and roast for 6 or 7 hours, turning once every hour. Check to make sure it’s fork-tender. Increase the heat to 425 and roast uncovered for 20 minutes or until the skin gets crispy. Remove from the oven and allow the pork to rest for 15 minutes. Building your custom house is not only for those seeking a new primary residence. For any number of factors people will continue to choose to live in urban areas, or in housing developments in which the homeowner’s level of control is managed by a larger organization. Maybe a condominium is perfect for you right now, with its lack of yard maintenance and convenient locations. These can all be very functional living arrangements for many. But the dream of building a unique living space infects us all, and vacation homes offer a viable option. Smaller house plans with features designed for comfort and convenience are very popular on our site these days. The requirements for a vacation home are often different from those of a permanent residence, but no less inventive. Typically boasting open floor plans, ample storage and closet space, and gathering spaces, these house plans are all about bringing people together. Smaller square footage and simple roof designs can keep the cost of building a vacation home economical, while easily adaptable custom features make for a uniquely functional space. Also with these smaller house plans comes a greater adaptability in terms of lot choice. While packing up the car this weekend with all the accouterments a camping trip requires, allow yourself to imagine for a moment how easy it would be to spend the long weekend at your vacation home. Rather than mounting the kayak to the top of the car, its waiting in the garage of your lakeside cabin. Instead of eating out for the duration of your trip, you stock your kitchen with the necessary ingredients and cookware. Rather than struggling with a sleeping bag on uneven ground, you rest in a bedroom that opens onto a screened-in porch for that open air feeling. Whether your vacation home is a cabin in the woods, a beach house on the coast, a log cabin by the side of a lake, or an A-frame up in the mountains, the options are truly limitless. This entry was posted in Dream Home, Family Home, Floor Plans and tagged dream home, vacation home on May 28, 2016 by Admin. Memorial Day weekend is seen by many as a cause for jubilant celebration: the first three-day weekend of the year, the opening of the summer season, a social history of bar-be-ques and garden parties, and a good chance to get out of town for camping and other outdoor activities. Friends and family gather together and it’s an all-around good time for many. As a designer of dream homes, what better way to celebrate building your custom home than to be able to host gatherings of loved ones there? I would never begrudge anyone for having a party this weekend, but I would suggest that we all interject a little thoughtfulness into our celebrations. There is, as we all well know, a patriotic element to this weekend that sometimes goes under-recognized. At its inception, Memorial Day was called Decoration Day, and families would decorate the headstones of the many men lost during the Civil War. 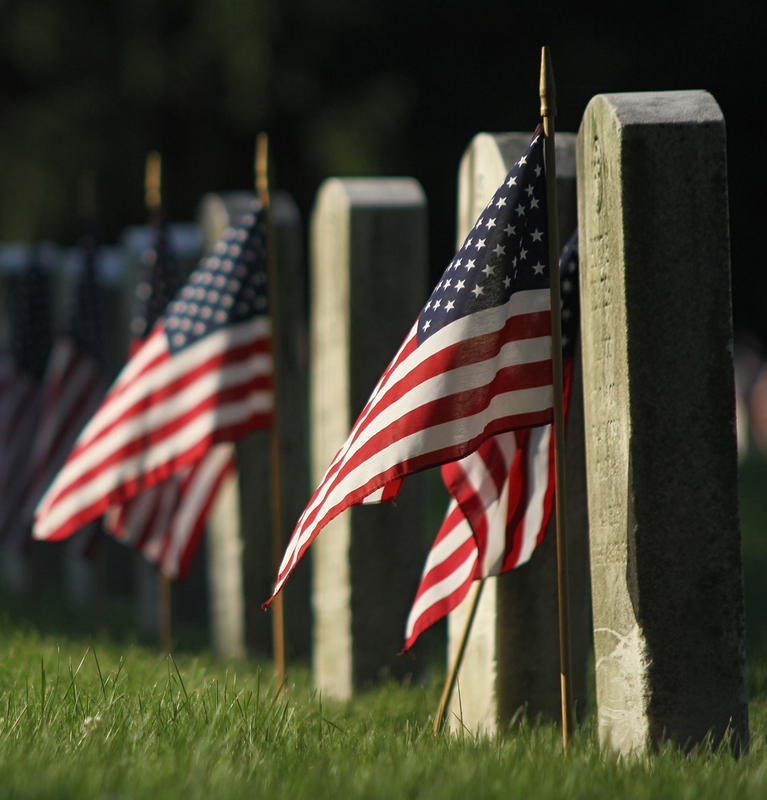 Over the years the holiday has evolved to include those lost in all wars while serving in the United States’ Armed Forces, and now is often barely a mention amidst the fervor of the long weekend. 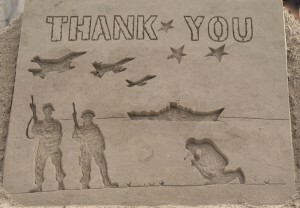 Take a few moments to remember those you have known and lost to the unthinkable horrors of war. Consider the incredible blessings bestowed upon us by our constitution, when so many people in this world do not enjoy such privilege. Offer a moment of gratitude for the simple joy of having your friends and family around you and, in this season of political mayhem, relish the opportunity we all have to formulate and share a unique opinion. 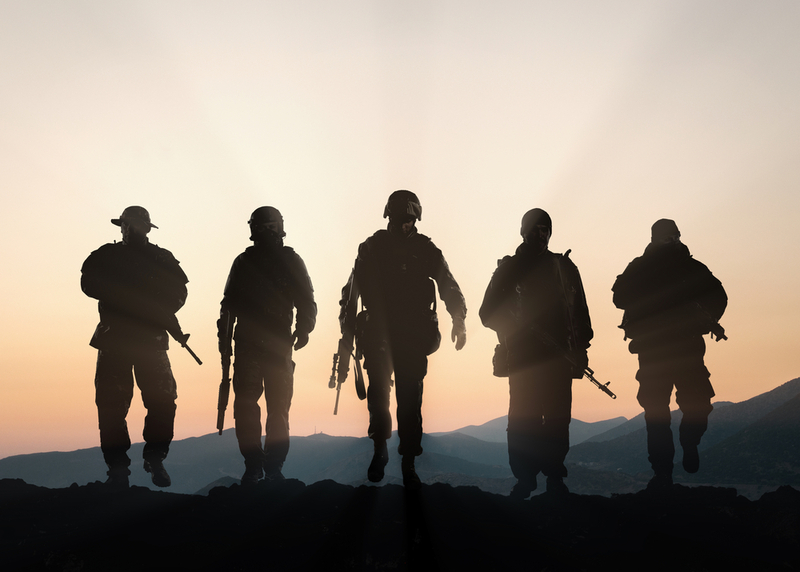 Thank the heroes in your life for their service and, if they are willing, listen to their stories. There is so much to be grateful for in this world, even in the face of difficulty and uncertainty. No matter how you choose to celebrate this weekend, make a little space to be thankful for the good things in your life, and tell the people close to you that you love them. Believe me, it makes all the difference. Finding ways to give back for all the goodness I receive is a foundational issue for me. In honor of Memorial Day, MonsterHousePlans.com will donate $50 to the Gary Sinise Foundation for every house plan sold between now and Flag Day, June 14th. We are honored and privileged to offer our small support of this wonderful organization, and are excited to share the power of this donation with all of you as well. Be safe and well this weekend, and we look forward to all the exciting projects we will share with you in the future! 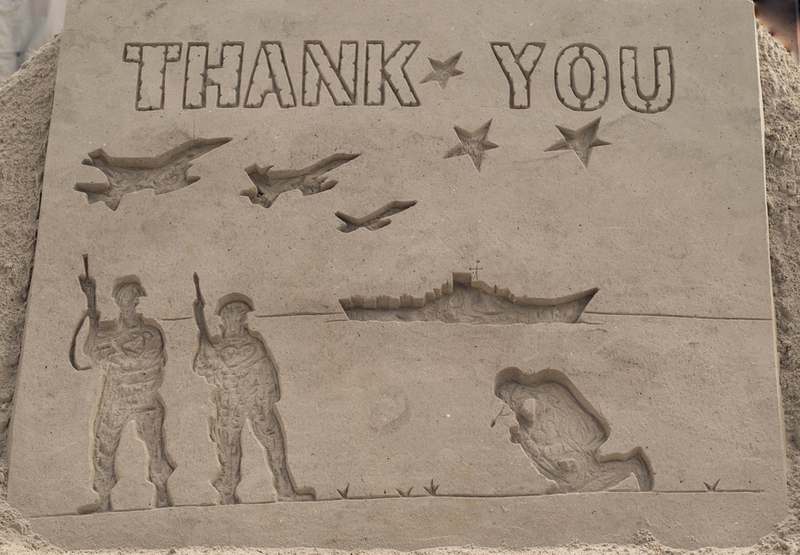 We honor with our thanks. It was Robert Frost who intoned over 100 years ago: good fences make good neighbors. A visible boundary around one piece of property to separate it from the next one, a fence is called upon to serve many purposes. But when considering building your dream house on a new lot, the decision to include a fence can be based on several factors. At its most basic level, a fence is a safety feature. Designed to protect your yard and your home from unwanted attention, security fences can be anything from solid wood to chain link. Highly security-conscious consumers can set up electrical fencing as part of an alarm system to warn of intruders and dissuade against the impulse to violate the boundary. Fences are often used to mark out the boundaries of one parcel of land. These can be as simple as occasional markers stuck in the ground to denote a property line or a single wire strung between posts at the corners of the lot. In older pieces of land, the property line can sometimes be marked by naturally occurring divisions, such as a change in landscape or a line of trees or shrubbery. A fence is also often used as a decorative touch to the overall vision of your dream house. The ever-popular picket fence is just one example among many of this kind of addition. Ornamental fencing can complete the overall look of your home and can be either quite affordable or very expensive, depending on the materials you use. Because the intention of this kind of fencing is aesthetic, the options are unlimited and can be easily matched to the style of home you are planning to build. As you put the finishing touches on your vision for your dream home, consider the reasons for building a fence as you choose how to proceed. And with house plans that feature wrap around front porches or verandas, some will choose not to build a fence at all, creating an open feel to the yard and enabling the porch railings to serve double-duty as a protective boundary around the home. This entry was posted in Dream Home, Family Home, House Improvement, News and tagged Consumer choices, dream home, Fencing on May 23, 2016 by Admin.